Based in Boca Raton, it Events by Julie is a full-service special event planning firm. Since 2007, we have planned many celebrations throughout South Florida and across the United States. What makes it Events by Julie one of the most sought after event planners is our reputation for really listening to our clients, understanding their needs, and bringing their vision to life…. We get it! Best known for her style, creative ideas, and special events expertise, Julie Cohen knows what it takes to make her clients' events successful and exceed their expectations. No matter the occasion, Julie’s events are beautiful, personalized and unforgettable. Julie's warm personality and calm competence put her clients at ease. They’re able to relax knowing she's working to create a fabulous event. The planning process becomes fun through Julie's unique ability to build trust and good rapport with her clients. These often extend beyond the event and into lasting friendships. Many clients to return to Julie multiple times for their important family celebrations. Julie enjoys giving back to the community through her involvement with the Samaritans365 Foundation and other local charities. As a wife and Mom to three great kids, she has a passion for family and values the importance of creating lasting memories - especially through celebrations! Kelly has been working alongside Julie Cohen since 2011. Her organizational skills and attention to details make her an invaluable member of the it Events by Julie team. She has a wonderful, fun personality that clients love, and always enters a project with excitement and a good sense of humor. 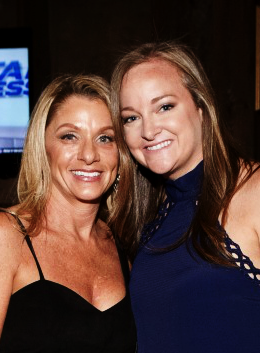 Kelly has an unmatched work ethic, going the extra mile to ensure a party goes off without a hitch and every detail is perfected. Kelly and her husband love to travel, be outdoors, and spend time with their family, friends, and two dogs. To see some of our best work, visit our Picture it page. For some of our client reviews, visit our Love it page.